Since having made his UFC debut in 2011, Khabib Nurmagomedov has steadily established himself as one of the finest fighters in the promotion. On his route to winning the Lightweight title, he has managed to overcome big fighters such as Edson Barboza and Al Iaquinta. He later managed to dominate Conor McGregor to further indicate his ascent to the popularity. As of October 2018, Khabib was placed on the 2nd spot in the official UFC pound-for-pound rankings. The information about Khabib Nurmagomedov’s formal education isn’t available. Khabib Nurmagomedov got married in June 2013. 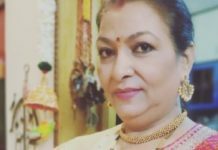 He has opted to keep his private life away from the spotlight and has refrained from sharing any related information with fans or media. Often wears a papakha hat during promotions and after his fights. The papakha hat is an important cultural symbol for Dagestani Avar ethnicity. 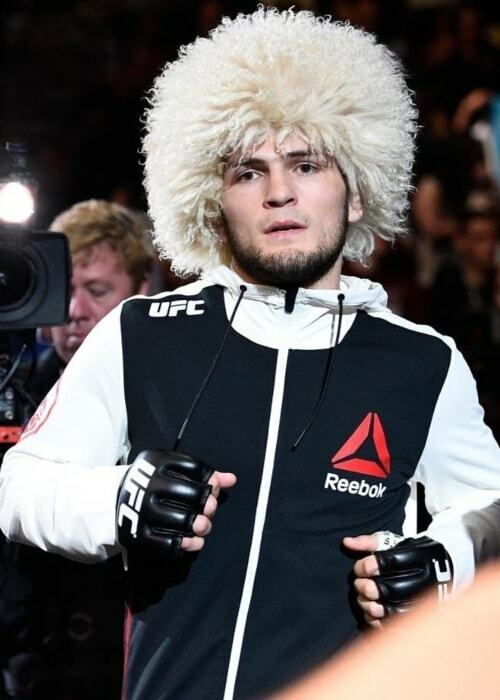 Khabib Nurmagomedov has an endorsement deal with Reebok. Apart from wearing their apparel, he also uses his social media activity to promote Reebok products. He has also used his social media posts to promote products and brands such as Frujuice Athletics. 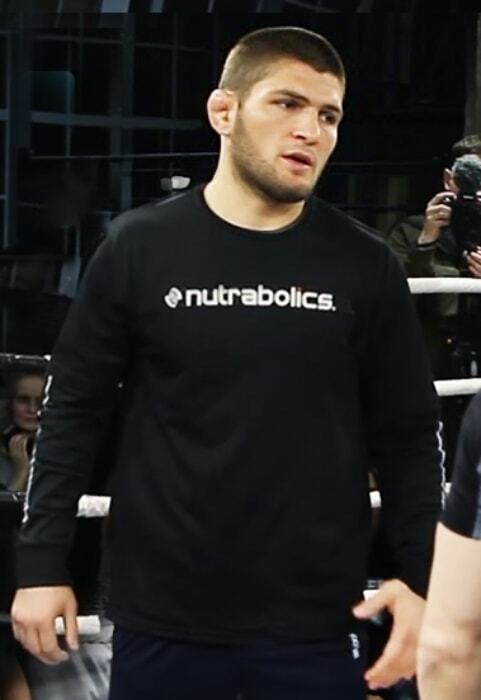 Nurmageomedov is a devout Muslim. He often uses his social media posts to express his commitment to his faith. 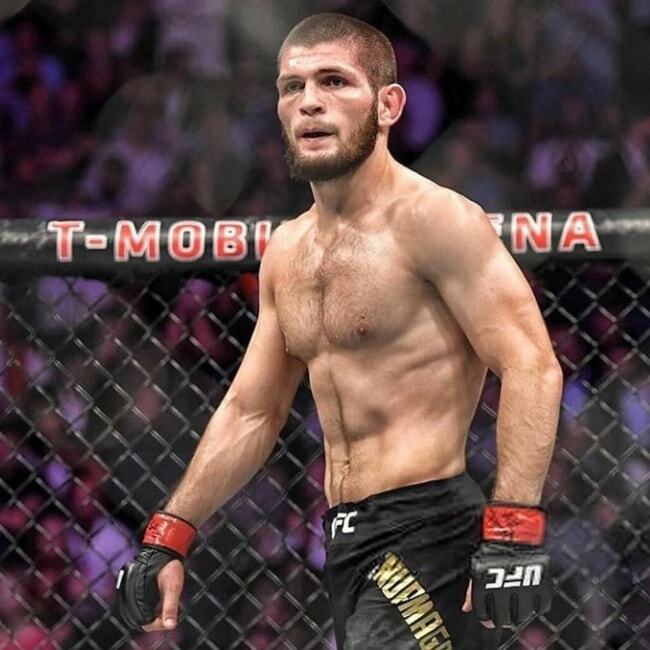 Khabib has also gone on a pilgrimage to Mecca on 4 occasions and has gone to Hajj as well. Being one of the finest Mixed Martial Artists in the world. In fact, he is considered by many as the best Russian Mixed Martial Artist. He has managed to win several titles and championships with several MMA promotions. In September 2008, he made his MMA professional debut. Within a month of his debut, he managed to win all 4 of his bouts. In January 2012, he made his UFC debut at UFC on FX 1 event in a fight against Kamal Shalorus. He won the match via submission in the 3rd round. In 2015, he made his first web show appearance in the sports show, UFC Embedded: Vlog Series. In April 2015, Khabib Nurmagomedov made his first TV show appearance in the sports show, UFC Ultimate Insider. Khabib has relied on his father’s guidance for his training. However, over the years, he has added more trainers and experts to his team. He has a disciplined and grueling workout regime in place to keep himself in top shape. To improve his functional strength, he places a huge emphasis on bodyweight exercises such as push-ups, chin-ups, and weighted parallel bar dips. On his typical training days, Khabib makes sure that he runs for half an hour in the morning. He also loves going for hill runs to further improve his cardiovascular capacity. He schedules sparring sessions after lunch. In the evenings, he alternates between striking and grappling work. He also ensures that he has a disciplined and clean diet plan in place to complement his work in the gym. He and his coaches have eliminated processed foods from his diet. He has also given up sodium and synthetic sugar. During his childhood, his father’s family moved to Kirovaul where his father started a gym on the ground floor of a 2-storeyed building. His interest in martial arts grew as he saw his father train his students at the gym. Khabib started wrestling at the age of 8. He was trained by his father, Abdulmanap Nurmagomedov, who was an army veteran and former decorated athlete. He learned sambo and judo during his time with the army. By the time he turned 9, his father was getting him to fight with a bear to improve his wrestling skills. He started his judo training at the age of 15 and by the time he turned 17, he had started combat sambo training under his father’s guidance. During his youth, he often used to get into street fights. However, it all changed after he started focussing completely on his mixed martial arts training. Towards the end of 2011, Khabib signed a 6-fight deal with UFC to compete in the lightweight division of the popular promotion. In his fight against Abel Trujillo at UFC 160 in May 2013, he created a record for most takedowns in UFC as he managed to complete 21 successful takedowns out of 27 attempts. However, his fight against Trujillo was shrouded in complications as he weighed at 158.5 lbs during weigh-ins which was 2 and a half pounds over the permitted limit for lightweight fights. He agreed to give away a percentage of his fight purse to his opponent and convert the bout into a catchweight fight. In December 2017, he won his first Performance of the Night bonus after he managed to dominate Edson Barboza over 3 rounds at UFC 219. He had won the match via a unanimous decision. In April 2018, he became the UFC Lightweight Champion as he went on to defeat Al Iaquinta via a unanimous decision at UFC 223. With his win at UFC 223, he became the first Russian fighter to have won the UFC title. He faced Conor McGregor at UFC 229 in August 2018 as he made his first defense of his title. He managed to outfight and dominate the popular Irish fighter and won the match in the 4th round via a submission. After his impressive win over McGregor, he landed in hot water with UFC as he jumped out of the octagon to get into a fight with his opponent’s team which sparked a large-scale brawl. With his win over McGregor, he managed to extend his impressive unbeaten record in MMA to a total of 27 fights. He had won 9 of his matches via submission while other 8 wins came with knockouts. In 2016, he became the co-founder of the mixed martial arts team, Eagles MMA Team, alongside Ziyavudin Magomedov. 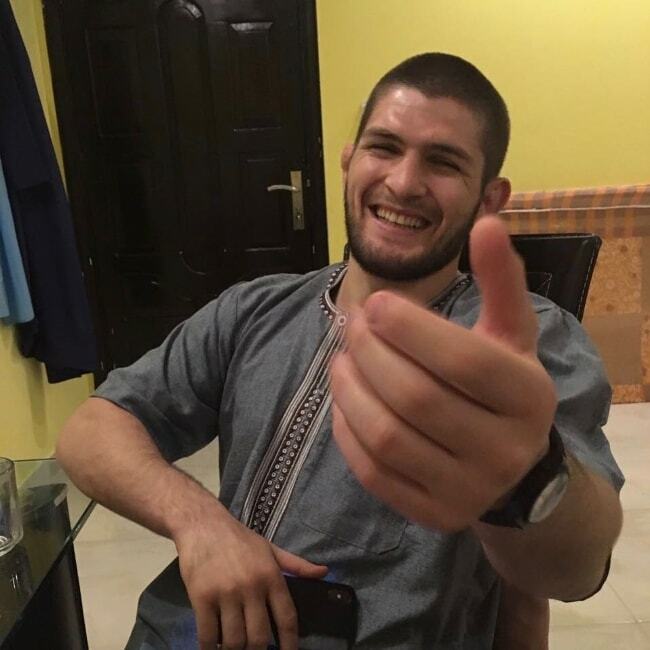 Follow Khabib Nurmagomedov on Facebook, Twitter, and Instagram.